Chanel has brought us quite a few new mini-launches this season. They’ve continued their Le Mat de Chanel launches with a whole collection of lips with new formulas called Rouge Allure Velvet Extreme ($37 each for 3.5 g/0.12 oz, made in France) and Rouge Allure Liquid Powder ($30 each for 9 ml/0.30 fl oz, made in France). I previously reviewed the eyes and cheek products in the Le Mat de Chanel Collection here (I think the Clair Obscur Eyeshadow Quad is a must). Today I’m thrilled to share swatches of all the new lip formulas. Up first is the Rouge Allure Velvet Extreme which a new intense matte lipstick formula. It comes in 6 shade options and is also encased in a soft matte black finish. These have that click-up magnetic packaging like the Rouge Allures and Rouge Allure Velvets. I tried the Rouge Allure Velvet formula in a number of shades years ago and thought the formula was just ok. The Rouge Allure Velvet Extreme formula completely blew me away though! It’s different in the sense that it has more opaque coverage. They’re creamy and non-drying. The finish is soft and velvety and long-lasting. I wish more colors were available in this formula. They’re completely comfortable on the lips with a very slight scent. Every single color is perfect. Lasting power is really good. Even though I wear neutrals most of the time I think these bold reds, orange and plums are classics that you can wear for any occasion. I do think Modern and Eternel are really close in color. Eternel has a bit more pink/rose to it, but they’re very similar. Next are the Rouge Allure Liquid Powders. These are so unique to me! They are a matte cream to powder lip product with a sponge tip applicator. The package base is a squeeze tube. These give the lips a diffused matte blurred tint of color. Almost like a watercolor finish but with a matte feel. The Rouge Allure Liquid Powders have a weightless feel. The color vibe to me is similar to the shades from the Rouge Coco Lip Blush launch, but formula is different. The lighter shades are sheer on me, but the deeper shades have buildable pigment. Simply squeeze and apply straight from the tube. They layer easily without feeling heavy. Dry down is a soft blurred matte. Once on the lips it feels like you have nothing on. Lasting power is quite good. The deeper shades leave a slight stain on the lips but they wear like a regular lipstick in terms of lasting power and how they fade. 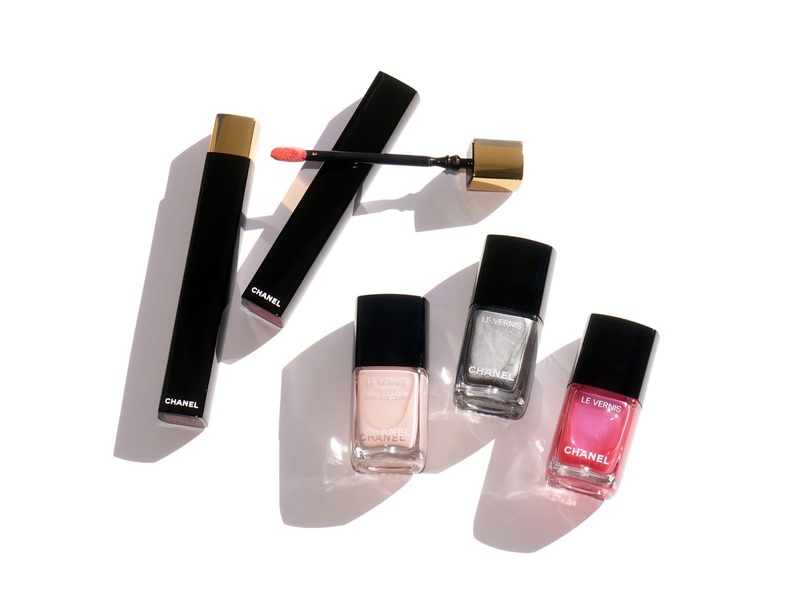 Overall I think the formulas are excellent and Chanel has launched well-edited color selection for fall. To me these are classic kinds of colors. I would have liked to see a few more neutral options or true plums, but Chanel does have excellent reds and bold pinks. I think they are wearable and suitable for a wide range of skin tones. I really love the Rouge Allure Velvet Extreme formula. Long-time readers know I’m super picky about matte lips and I think these wear very well. 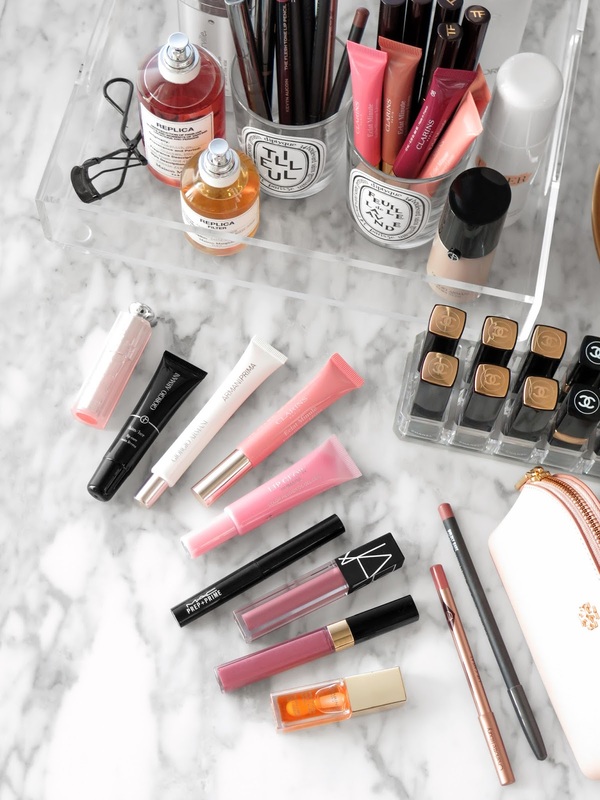 No dry patches or raisin-looking lips with these! Also deeper shades in general can run patchy with the contrast of my natural lip, but every single color in this formula applies smoothly without any issue. Pigment is very very good. The Rouge Allure Liquid Powder is unique and I think they’re really good. I didn’t know what to expect from it as I haven’t tried a cream to powder product for lips. I think the packaging is well designed. I love it when you can see the color in the outside so you don’t have to guess or take those extra few seconds to look at the bottom label to see what color you are picking up. I’m not sure these will be everyone’s cup of tea – they’re just so different! Many of you have been e-mailing me about the Les Eaux de Chanel fragrances and the Le Volume Revolution de Chanel Mascara. I just received my order of the mascara and I’m going to test it this weekend. I also did try the perfumes when I saw testers in store as a preview, every single one is amazing. My two favorites are Venise and Biarritz and I will be reviewing all three soon. If you can’t smell in store right now Chanel.com has them available in their complimentary sample selection. I’ve ordered from their website a number of times and they always have samples that they rotate (you can pick two with each order). You can find the Chanel Rouge Allure Velvet Extreme + Rouge Allure Liquid Powder available out now at Chanel.com. Rouge Allure Velvet Extreme and Liquid Powder provided for review.